Quiz: What kind of car should you buy? People buy cars for many reasons, whether it be affordability, eco-friendliness, horsepower or advanced features and styling. Take this quiz to find out what kind of car is right for you, based on your preferences, personality, favorite movie and favorite beverage. Tell us how we did in the comments! What is your first priority when it comes to looking for a car? Because of your family-size and priority in your life, a minivan or crossover would be your choice of vehicle. Sporty crossovers like the Dodge Journey can provide a bit more adventurous feel to a normally bland minivan experience, with large-capacity features such as seven-passenger seating. You just need a car to get you from place-to-place, meaning a basic sedan will do you just fine. You may not be the flashiest or loudest on the road, but you're one of the safest, and aren't going to pay an exorbitant amount for the car or gas. 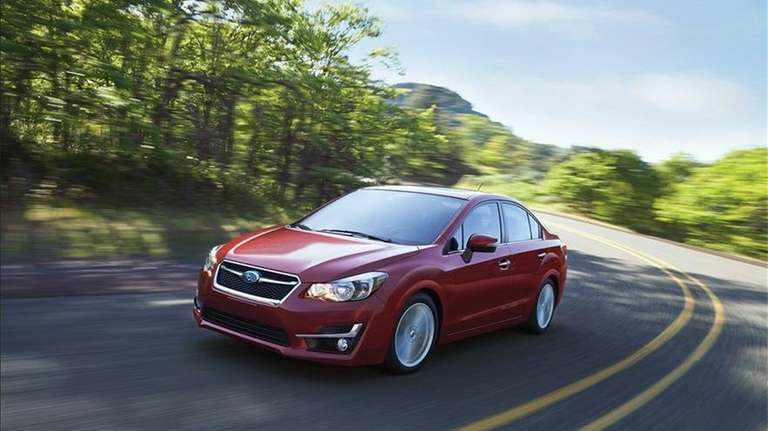 Four-door sedans like the Subaru Impreza are affordable, safe and get good gas mileage. Anything less than luxurious simply won't do. You need high-end transportation: leather seats, latest technology and the all the safest bells and whistles a car can have are your priorities. Luxury cars like the Audi A7 provide the best in style and technology -- all at a higher cost, of course. Power is your priority, with the sound of burning rubber and sight of blurred streetlights your calling. A muscle car -- whether it be modern or classic -- should be your go-to, with nothing less than a V8 engine even a consideration. The 2018 Ford Mustang GT puts out more than 460 horsepower, and if you're feeling like more power, the Shelby GT350 model has 526 horsepower. Your main issue with cars is that they're horrible for the environment, so your best option would be a hybrid or electric car. Luckily for you, the market for such cars is only growing and getting better, with hybrids like the Toyota Prius C offer high gas mileage with little to no negative impacts on the environment. Off-roading, towing and tough terrain are your favorite roads, so you'll need a tough truck as your vehicle of choice. Whether it's GMC's small-sized pickup the Canyon or any of their larger models and SUVs, your priority is how tough you'll look on -- and off -- the road, as well as using your car for work.